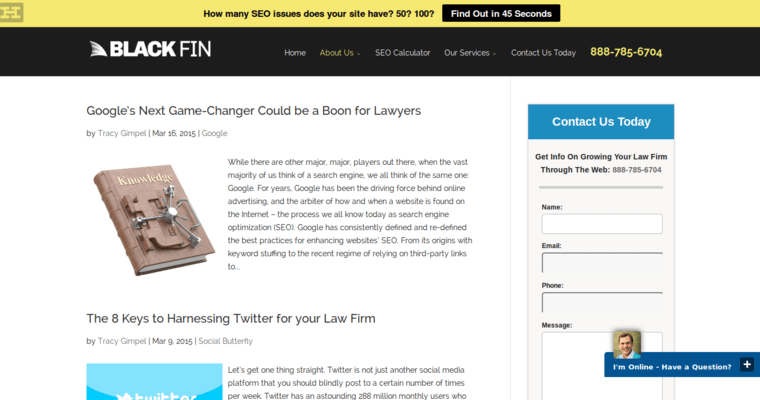 Black Fin is a Web Design and SEO company that specializes in serving established law firms. They are a results-oriented firm that is based in Cleveland, Ohio and serves clients around the world. 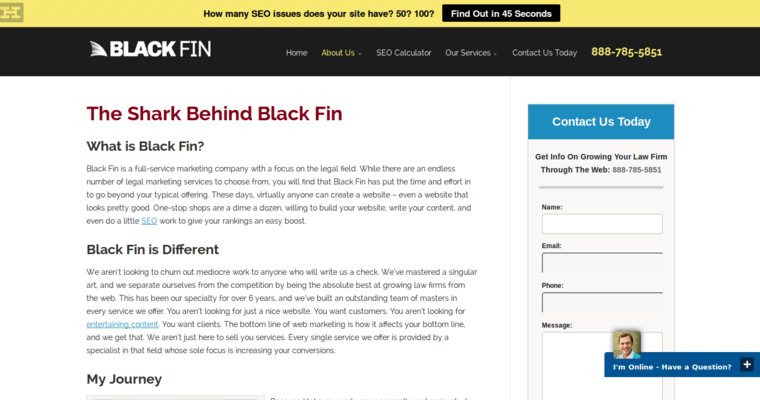 Black Fin understands that there is more to attracting visitors to a legal website than just using keywords, and that's why they create unique and relevant content to reward viewers and to give them a sense of what the client can do for them. From injury law firms to bankruptcy outfits, they help. 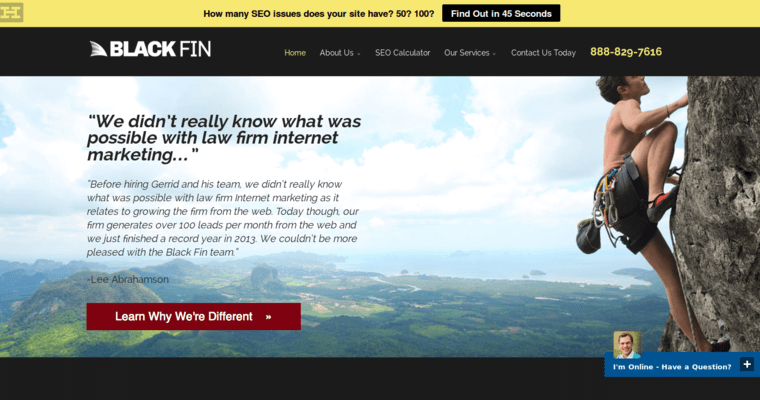 What makes Black Fin different is that they specialize exclusively in representing clients working in the legal arena. They love what they do, and their passion is represented in the increased web traffic directed at the sites they create and serve. When it comes to raising rankings in search results on Google and other engines, they absolutely know what they are doing.